We reported earlier this week that Nintendo Japan confirmed it is ceasing production of the Wii, bringing the system’s long run to a close. 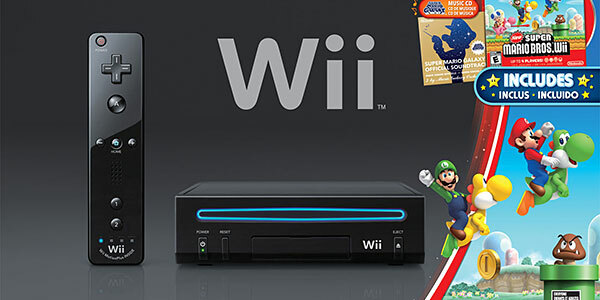 However, Europe and North America have continued to post fairly strong sales of the console, so we were left wondering whether the Wii would continue production in these markets—or if Nintendo would attempt to shift the potential sales onto the Wii U. Well, that’s interesting. We knew that it would be available—it’s not like they were going to run out and destroy existing stock—but they also aren’t specifically saying that production will continue after the holiday. Can Nintendo of America and Nintendo of Europe continue production on the console after 2013? That’s what we’re wondering, and that’s what no one seems to be saying for sure. Either way, there will be plenty of Wiis for sale this holiday, so if you’re looking to spend a few dollars on a console and the Wii U is out of your price range, this little system still has plenty of juice!